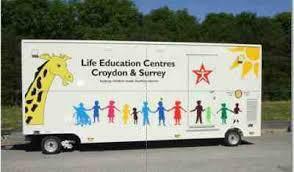 This week we had the Life Education Van visit our school. In Year 2 we learnt about what was inside our bodies (heart, ribs, lungs and feelings). We talked about sad, happy and angry feelings and we helped Harold the Giraffe with a few party problems that he had. We also talked about what bullying meant using the anagram S T O P (several times on purpose) and (start telling other people).